Politics makes up most of the world's affairs. CBSE has always made sure that politics is incorporated in the syllabus to help shape an individual's idea towards an ideal that changes the world constantly. 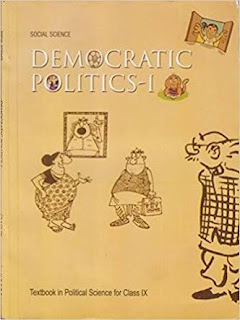 The NCERT class 9 social science democratic politics is an introduction to how democracy evolved in the world and eventually in our own country. To facilitate an easier study of this subject, Vedantu has offered a great deal of resources to utilize. Out of these, Democratic politics class 9 NCERT solutions is one of the best resources that a student can have. These solutions are available on a PDF format and are free for download. These answers have been carefully penned by expert teachers from across the country. The style of the answers reflect the way in which it must appear in a typical board exam: concise, accurate, and short. With these solutions, a student can easily study democratic politics without having to struggle to search for the right answers.